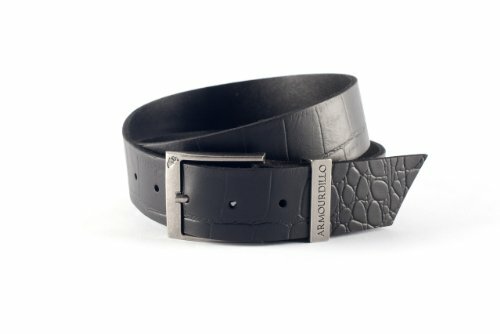 Croc embossed burnished genuine leather strap. Removable tumbled brass finish buckle. This belt feels as good as it looks. And, man, does it look good.